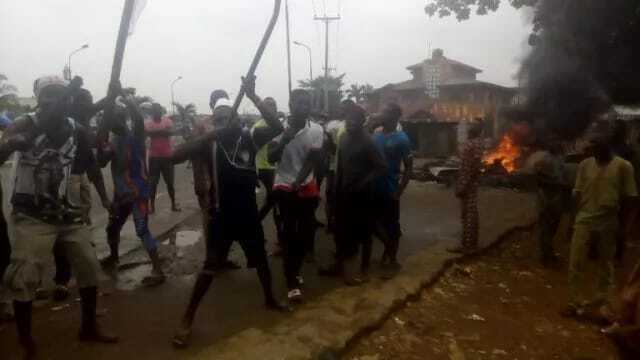 Riot started on Monday, January 30, on Mojeed street, Igando Lagos, when a 40-year-old Hausa trader, Ibrahim Adamu, allegedly killed a bus driver, Lekan Adeleke. 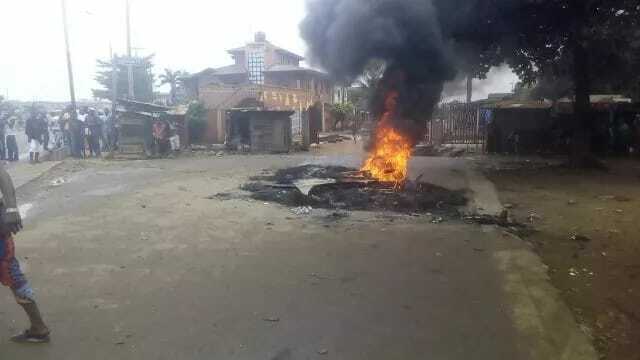 Residents and family of the deceased reportedly blocked the street, made bon fire and chased Hausa traders out of the area. According to a report by ThePunch, trouble started when the deceased had bought noodles worth N230 from the suspect’s son on Sunday, January 29, around 10.30pm. He was reported to have paid N200 and promised to pay the balance of N30 the following day, which did not go down well with the suspect’s son. The son allegedly reported to his father, Adamu, who became angry and attacked the 30-year-old Adeleke with a spiked plank. The victim reportedly slumped and hit his head against the concrete edge of a gutter in the area. A friend of the victim, Kehinde Akinduro, said Adamu had a kiosk where he sold confectioneries, while the son sold noodles beside the kiosk. He explained that Adeleke had actually paid the balance of N30 to the suspect’s son. He said: “He was joking with the boy that despite being a customer, he went and reported him to his father. They started abusing each other. At this time, the son was already preparing noodles for me on the instruction of Adeleke. “The next thing I saw was that Adamu, who was eavesdropping, brought out a spiked plank and hit Adeleke with it. I cautioned him, but he faced me and hit me in the leg. I sustained some injuries. “When Adeleke saw that he could no longer handle the situation, he took to his heels. But the man followed him and hit him in the head as he tried to jump the gutter. He fell and hit his head against the edge of the gutter. He said the suspect, speaking in Hausa, asked his son to flee in another direction. The mob was said to have destroyed Adamu’s kiosk and set it on fire after Adeleke died around 12am on Monday. 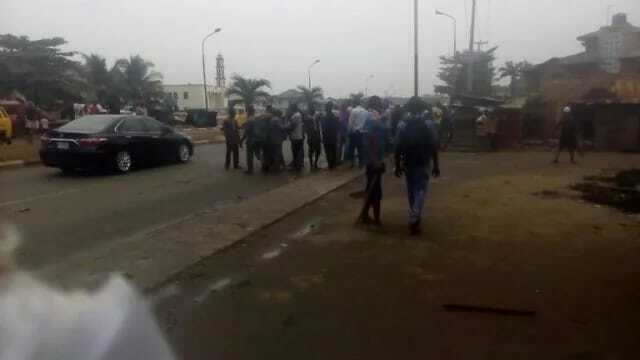 The police public relations officer, SP Dolapo Badmos, said investigations were ongoing. Meanwhile, the Nigeria Customs Service (NCS) has explained how it intercepted and seized a massive weapons haul of 661 brand new pump-action rifles in Lagos state.